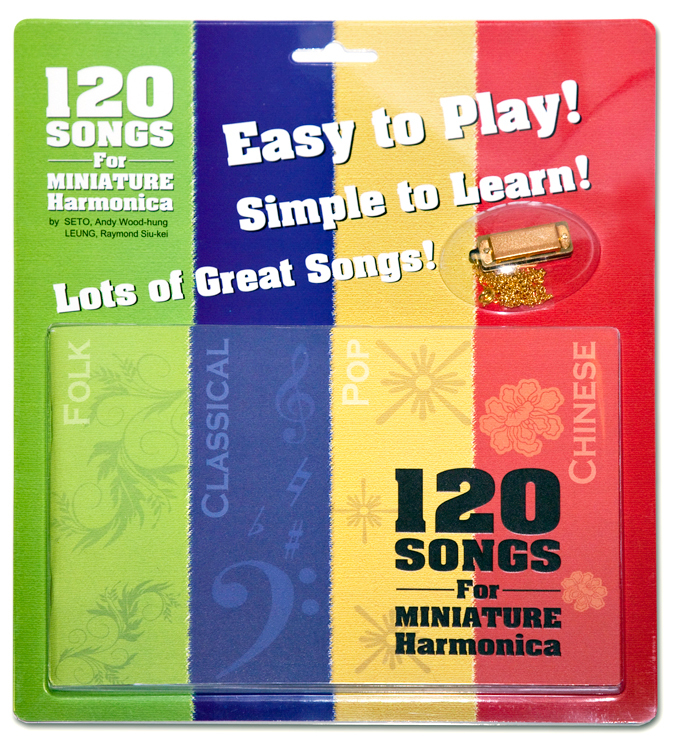 The miniature harmonica is a 4-hole harmonica with a range of one whole octave. Though it is the smallest harmonica in the world, it can play a lot of beautiful music within a full scale. 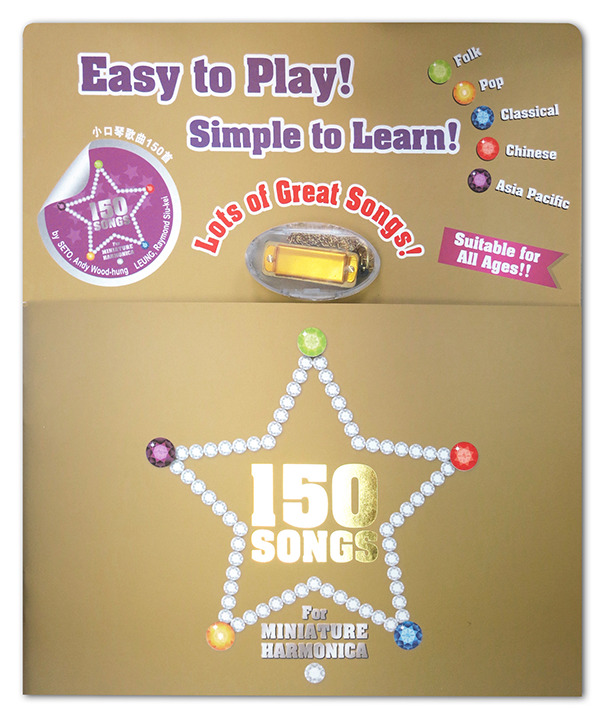 The 150 songs we collected in this book are divided into five categories, including POP, FOLK, CLASSICAL, CHINESE and ASIA PACIFIC. 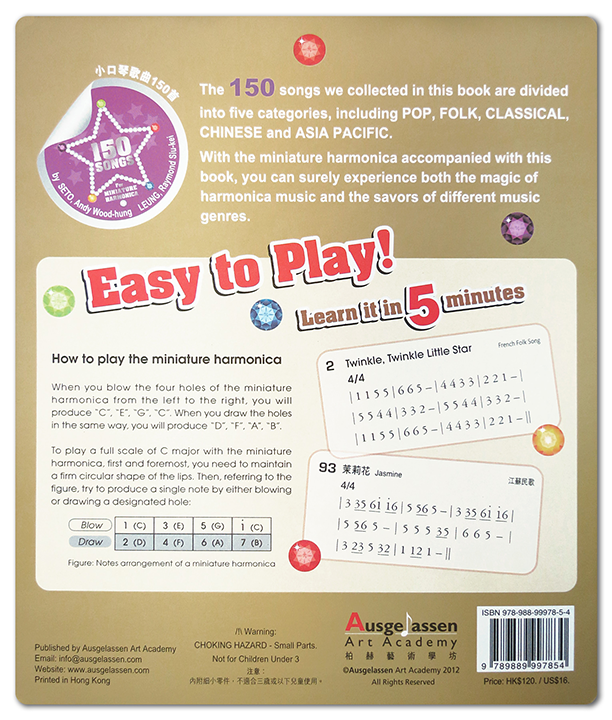 With the miniature harmonica accompanied with this book, you can surely experience both the magic of harmonica music and the savors of different music genres. To buy the book, please visit Tom Lee Music. To buy the book online, please visit ebay. 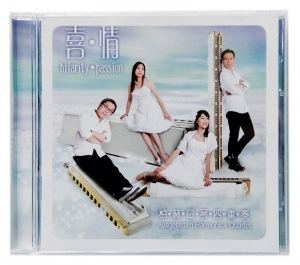 “hilarity.passion”, the first album recorded by Ausgelassen Harmonica Quartet (AHQ), comes from the German word ‘ausgelassen’. Its Chinese pronunciation carries the meaning of “the start of a journey. It collects a range of repertoire from classical to rag to pop music for appreciation of enchantment and enthusiasm in life. It includes an original quartet music – “Plum Blossom, Orchid, Chrysanthemum, Bamboo”. All the pieces are performed not only in quartet but also in duet, trio, and quintet. It is available at major CD stores in Hong Kong, such as HMV, CD Warehouse, Hong Kong Records …. 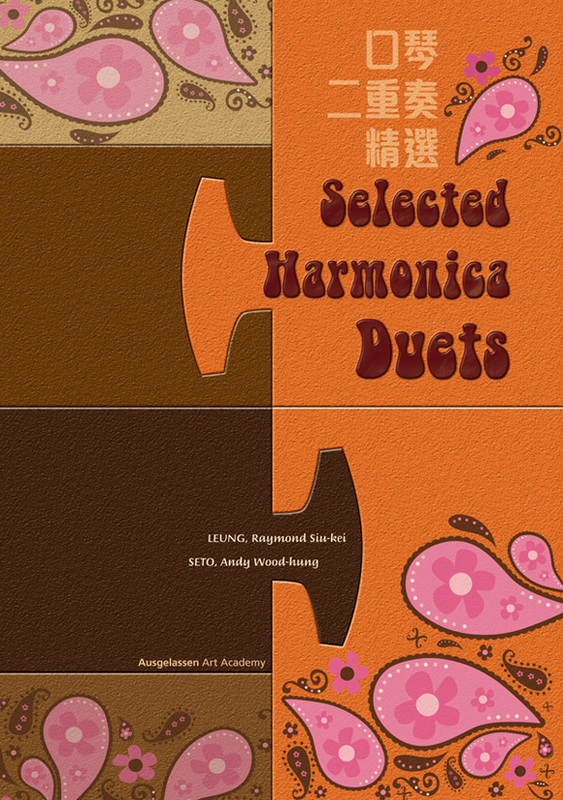 The Selected Harmonica Duets is the first of its kind published in Hong Kong. The entire collection best suits those who would like to make harmonica music together with a partner. These specially arranged pieces will bring you lot of joy and fun with your friends and families. The 120 songs we collected in this book are divided into 4 categories, including FOLK, POP, CLASSIC and CHINESE. 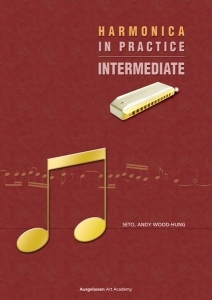 Through the playing of these songs with the miniature harmonica accompanied with this book, you can experience not only the magic of harmonica music but also the savors of different music genres. 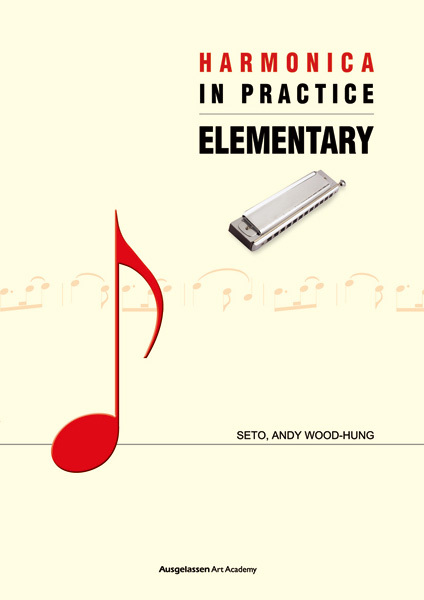 Harmonica in Practice: Elementary is the first locally published harmonica music coursebook in English. It attempts to promote the learning of chromatic harmonica to both Chinese-and English-speaking communities. 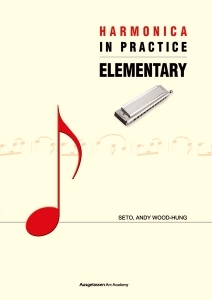 The book focuses on elementary skills in playing harmonica and elementary knowledge in music theory. A wide range of music repertoire is selected to provide learners opportunities to appreciate various genres and to practise various skills. Harmonica in Practice: Intermediate aims to expose learners to different composers and music genres. 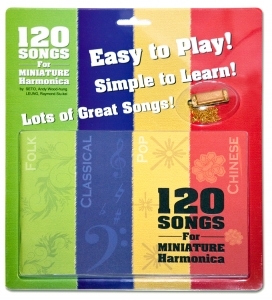 A wide range of music repertoires are selected from Baroque, Classical, and Romantic eras. Learners will come across composers from Bach to Mozart to Schumann. 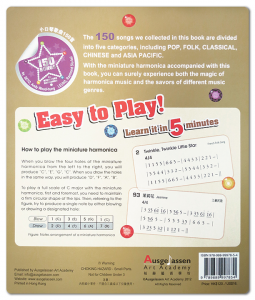 Selected scale and skill practices as well as duets and ensemble are also included. It is hoped that your passion for music can further be enriched with the instrument of harmonica.